As our own Episcopal Relief & Development Fund (ERD) works to respond, recover, and rebuild with local partners after Hurricane Harvey, so, too, do they encourage us to be prepared. Visit the ERD Page US Disaster Program Preparedness Resources. Once there, follow up by evaluating and improving your preparedness for disasters of all kinds. Pause on Labor Day and give thanks for those who work to make your life better. 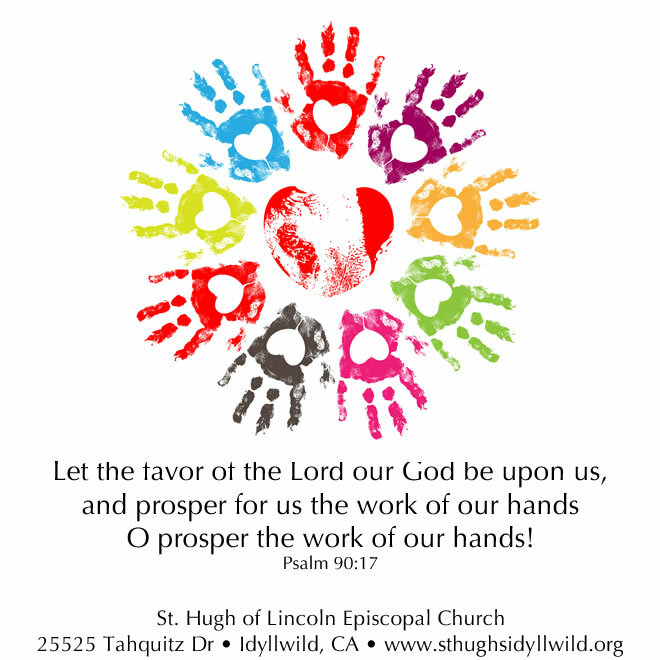 This litany, “Thanksgiving for Work,” is intended for the use of our Members and Friends as a way of honoring those whose work has blessed our lives. View or download the litany here. Remember and honor those whose works are a blessing in your life. Remember and honor those whose “works” are a blessing in your life. We’ve updated our Resource List for Seniors and Caregivers. Our list begins with the Riverside County Office on Aging. We’ve updated our Resource List for Seniors and Caregivers. The resources listed are within driving distance of Idyllwild and our Mountain Communities. HURRICANE HARVEY 2017: WHAT CAN I DO TO HELP? For those of us observing [Hurricane Harvey and every disaster] and praying from afar, it’s important to remember that [our response] is a marathon and not a sprint. In addition, the tricky part is responding in a way that is timely and appropriate. Understanding the phases of a disaster can be useful in determining how you can help. 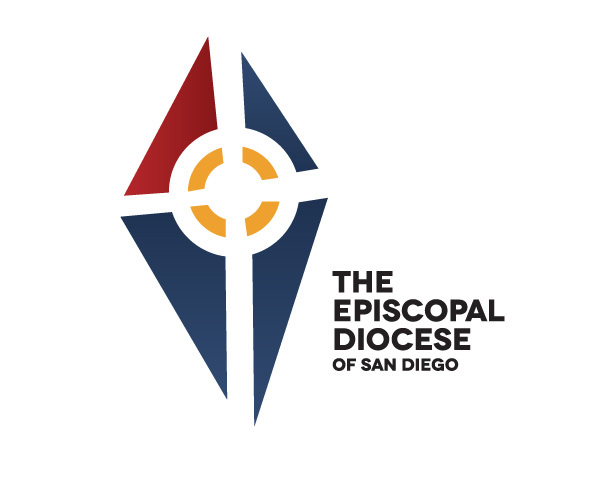 This originally appeared as an ERD blog post by Rob Radtke, President of Episcopal Relief & Development, August 2017. When we see images of people suffering, we want to do something. That’s understandable. As Christians, we are called to seek and serve Christ in all people and never more so than in times of crisis. For those still in the midst of the disaster, please follow the advice of your local authorities. Take care of yourself and your loved ones. Otherwise, you won’t be able to help anyone else later on. For those of us observing and praying from afar, it’s important to remember that this is a marathon and not a sprint. In addition, the tricky part is responding in a way that is timely and appropriate. Understanding the phases of a disaster can be useful in determining how you can help. Most disasters have three distinct, if sometimes overlapping phases: Rescue, Relief and Recovery. The Rescue phase is focused on saving lives and securing property, and is most acute in those parts of a region that are directly flooded. Police, fire departments and other government agencies are best able to do this work. They have equipment that can clear roads and debris and find people. The Rescue phase can take one to two weeks, sometimes longer. In the case of Harvey, the disaster hasn’t yet stopped and so the Rescue phase is taking place in the midst of the crisis. It can be heartbreaking to watch, I know. However, I urge all of us to be patient. Please pray for those who are suffering as a result of this tragedy and for the professionals who are risking their lives to save others. The next is the Relief phase. We and our partners began preparing for this phase as soon as it was clear how massive Harvey was going to be. During this phase, the local church will be one of the first places people go to seek assistance and shelter. Because they are prepared and experienced in disaster response, we know that our partners in Texas and elsewhere will be active in the Relief phase. This is where Episcopal Relief & Development is focusing its resources right now. Eventually, we get to the third and final phase: Recovery. During this period, the emphasis shifts to restoring services, repairing houses and buildings, returning individuals to self-sufficiency and rebuilding communities. The challenge of the Recovery phase is that most of the television cameras have moved on, but the human suffering has grown. It is a chronic state, not a crisis. However, it is the phase that the Church excels in, because we are part of the communities that have been impacted and can best identify needs and work with the community to address them efficiently. Now is the time to offer financial support. Contributing to Episcopal Relief & Development will ensure that we have enough resources to support the work of our church partners as they serve the most vulnerable in their communities. They are best positioned to assess needs and timing for response efforts. One of the immediate ways Episcopal Relief & Development and our partners help individuals is by handing out gift cards to local stores so that people can choose what they need the most. It not only affords people dignity it also helps stimulate the local economy, which needs to recover post-disaster. Learn about the other ways we assist during the three R’s of disaster here. The best approach is to wait until those affected have indicated what kind of support is most needed and whether they are ready to house and utilize volunteers. Inserting ourselves at the appropriate time alleviates additional stress and complications that can actually make things worse. If you think you would like to volunteer please register with Episcopal Relief & Development’s Ready to Serve database. This list of volunteers will be shared with the impacted dioceses once they are ready to use and support volunteers. They will contact you if and when they need help. An effective response requires us to discern what is most helpful and appropriate at any given time. Let’s continue to hold those directly impacted in our hearts and prayers throughout their recovery, long after the media images fade. Donate to our Hurricane Harvey Response FundYour generous support will supply critical necessities for communities immediately and for the long-term as they recover and rebuild. Rob Radtke is the President of Episcopal Relief & Development. Feature Image: Home submerged in floods. Photo by Tara Quick in the original blog post. Author Daniel RondeauPosted on August 31, 2017 Categories Episcopalian Stuff, General Mission News, Peace & JusticeTags disaster response, ERD, hurricane harvey, reliefLeave a comment on HURRICANE HARVEY 2017: WHAT CAN I DO TO HELP? My sisters and brothers in the Episcopal Diocese of San Diego, A wise person once noted that the most significant prayers are “Help!” and “Thank you!” The people of Texas and Louisiana are praying for help amid the deluge, and giving thanks for the smallest blessings – even a pair of dry socks. We can answer those prayers, both by remembering their plight in our prayers, and by donating to Episcopal Relief & Development, which is poised to steer funds to the dioceses in the region right away. In coming weeks and months there will be abundant opportunity to assist in cleanup and rebuilding. Remember Katrina (and Wilma and Rita, which added to the disaster)? The aftermath of Harvey will be a similarly extended season of opportunity to demonstrate our love for neighbors. Pray without ceasing, give what you can, and start thinking about how we in this diocese might offer our labor for healing and restoration. Click here to contribute to the efforts of ERD to respond to and help with recovery and rebuilding in the areas most affected by Hurricane Harvey and its aftermath.